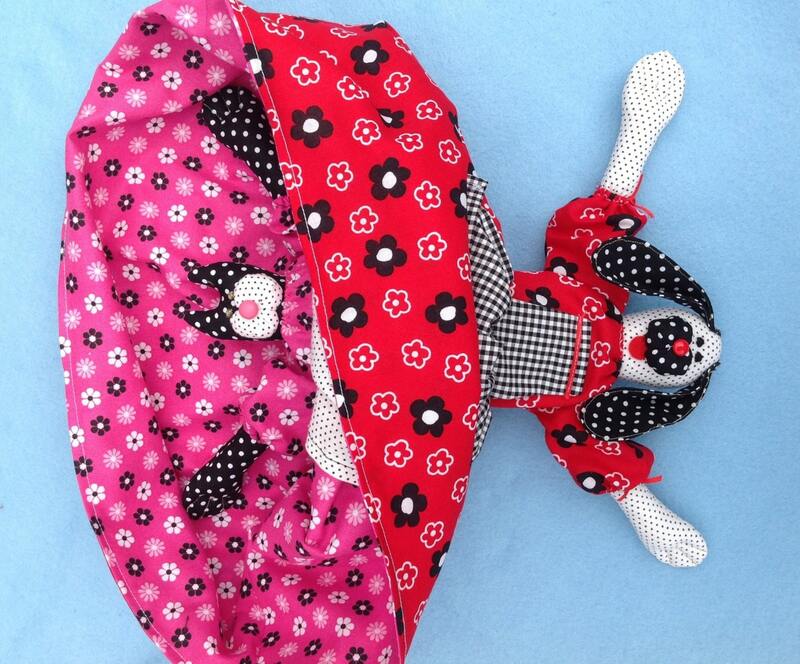 An Old Fashioned Topsy Turvy Doll E-pattern Makes a Cute Dog & Cat Doll. 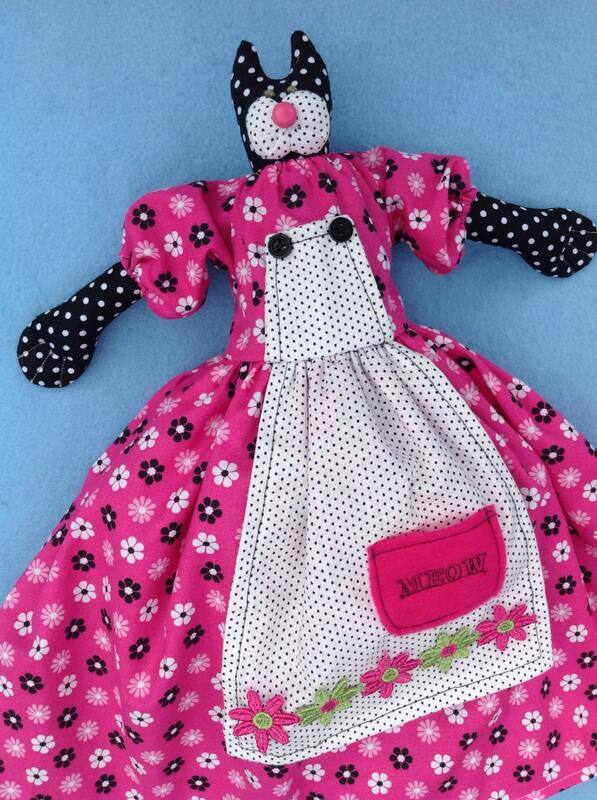 Total overall Length with skirt is 16" Long. 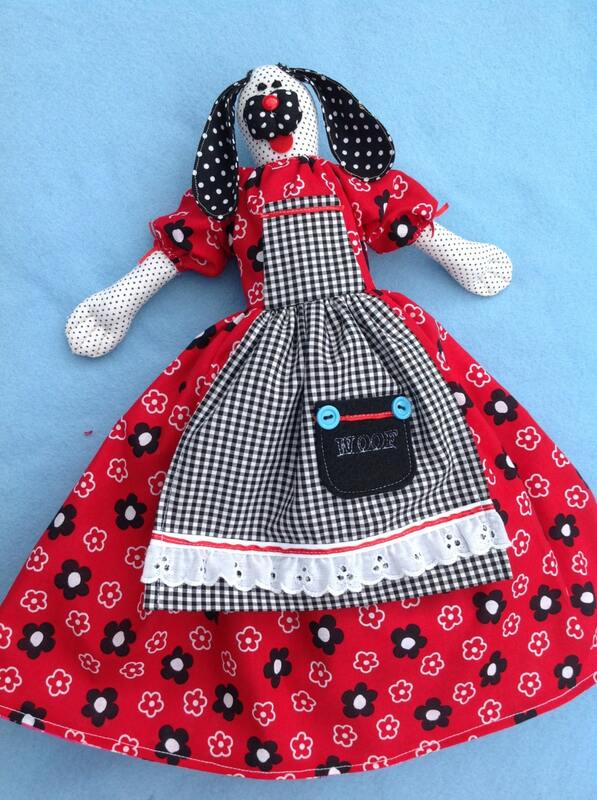 Total Doll body is 12"
Really cool -- replaces a pattern from the 80's! THANK YOU! this is the perfect pattern for an animal-lover such as myself. I'm sure it will be a pleasure to create as ALL Fruitful Hands patterns go together smoothly and finished dolls are always wonderful. 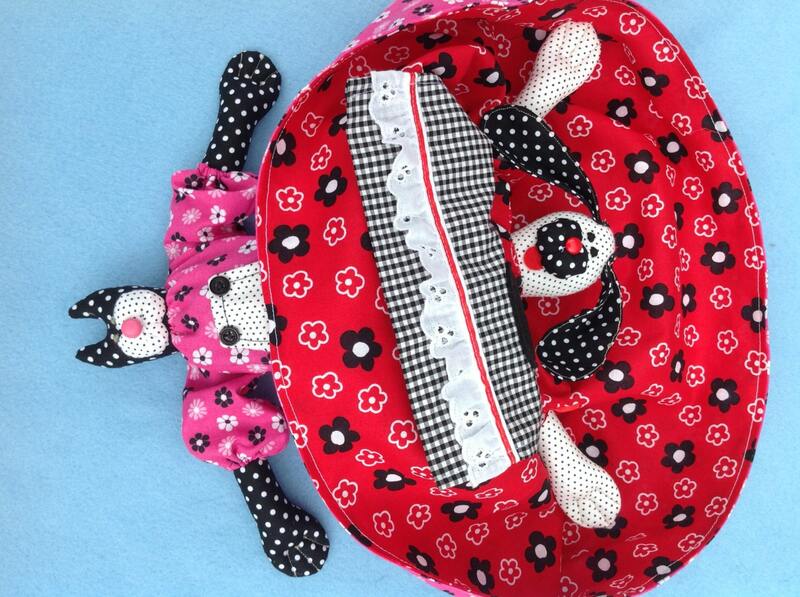 Really cute variation of traditional topsy turvy pattern. I can't wait to make this!